Hurricane Harvey was the first major hurricane that impacted the United States since 2005. Cities and residents of Houston, Corpus Christi and surrounding Texas areas received over 40-inches rain resulting in millions of dollars in damage. The death toll of this powerful category 4 storm was at least 70 people; 1 in Guyana and 69 in the United States. After making landfall, the storm crawled at just 1 mile per hour; over the course of 4 days, Harvey made a second landfall just north of Holiday Beach at a Category 3. As the Emerald Coast residents watched Hurricane Harvey hit Texas, the thoughts of 2004’s Hurricane Ivan and other major hurricanes came rushing back. We’ve experienced the flooding, damaged homes, boats and cars.. and the hopelessness of ultimately having to pick up the pieces of what is left of a home. With Hurricane Harvey hitting Houston, and the imminent threat of Hurricane Irma hitting Florida, it is important to make sure you are prepared.In addition to boarding up windows, collecting sandbags, purchasing water and non-perishable items, it is important to ensure all of your home’s documents are in a secure and safe place. Gather your insurance documents and any other materials that will aid you if you’re in need of filing a claim. In addition to documents on your home, gather personal documents as well for you, your family and your pets, including medical records, veterinary and vaccination records. The National Hurricane Center began to monitor a tropical wave on August 27, by August 30 a tropical storm developed. The storm quickly intensified and was classified as a category 4 on September 4th, and as of September 5th is now a category 5 hurricane with wind speeds of 175 miles per hour. This powerful storm is currently impacting Puerto Rico, with the Dominican Republic, Haiti and the Bahamas next in sight, before heading for the east coast of Florida. 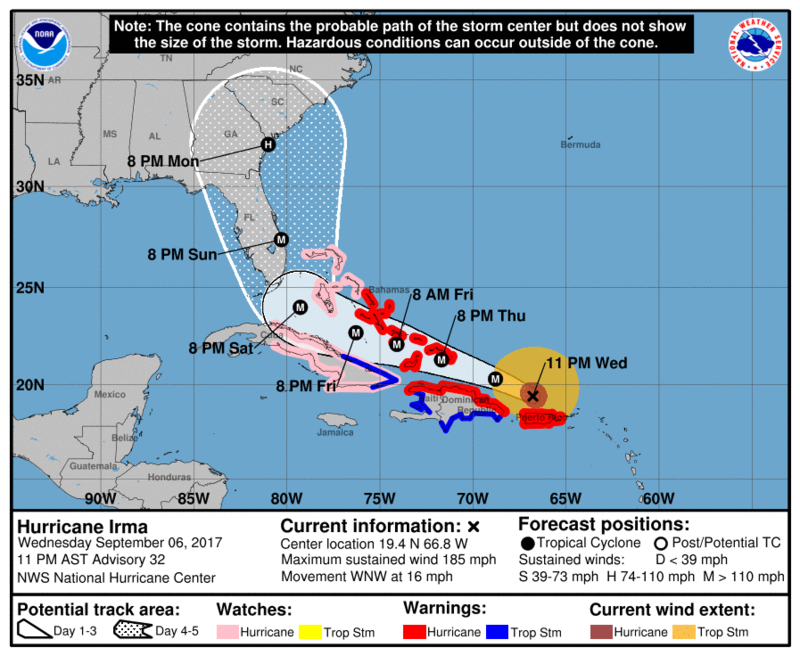 Hurricane Irma has already claimed the lives of three people in the Caribbean Islands. As of September 5th, all toll roads have suspended their tolls to allow south Florida residents to evacuate safely. Todd Claim Service is a leading Florida independent insurance claims adjuster located in Fort Walton Beach. We understand the stress hurricane season can bring, we want you to rest assured we will take care of your client’s needs and aide them in their insurance claims. Give us a call today with any questions you may have.